And at Lystra there sat a certain man (Acts 14:8). Lystra was a market-town in the region of Lycaonia. In 25 BC, Augustus made Lystra a Roman colony in order to protect routes into the Taurus Mountains and decided that a Roman road (called the “Imperial Road”) should be built between Lystra and Pisidian Antioch. 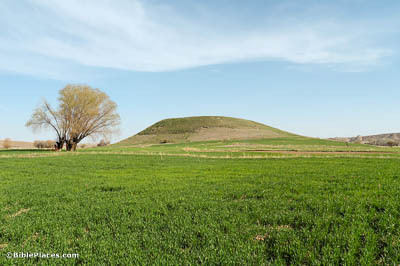 During this time, a temple to Zeus was also constructed at Lystra. And they called Barnabas, Zeus, and Paul, Hermes, because he was the chief speaker (Acts 14:12). Hermes was considered to be the Greek god of trade and he served as a messenger to the gods. 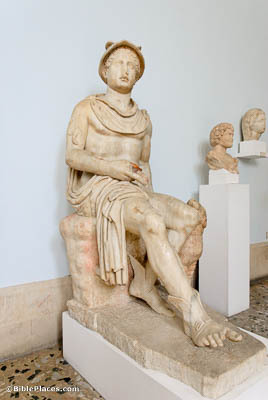 Hermes was considered to be the most eloquent—perhaps the reason that the people of Lystra suspected that Paul was Hermes. This marble Hermes was carved in the 2nd century AD. And the priest of Zeus…brought oxen and garlands…and wanted to offer sacrifice (Acts 14:13). Oxen and garlands were regular parts of sacrifice in the Greco-Roman world. This fresco depicts the common scene of a worshiper bringing a bull near the steps of a temple. 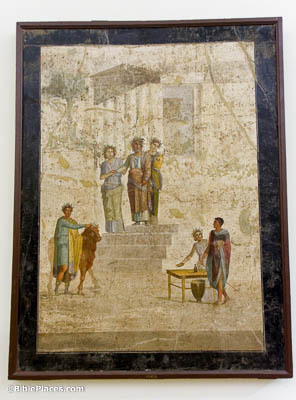 It was painted in Pompeii during the 1st century AD. And when they had spoken the word in Perga, they went down to Attalia (Acts 14:25). Attalia was a port city near Perga, which is located about 9.5 miles (15 km) northeast of Antalya. 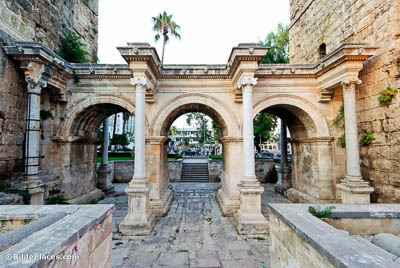 Hadrian’s Gate, shown here, is a triumphal arch built to commemorate Hadrian’s visit to Attalia in AD 130. It was restored in the mid-20th century. And from there they sailed to Antioch (Acts 14:26). 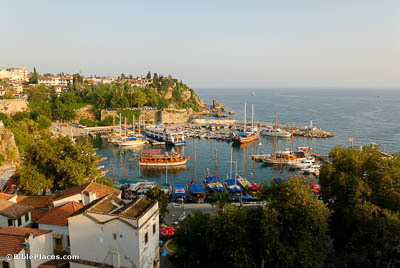 Antalya, the modern name of biblical Attalia, still has a harbor, used primarily for fishing and tourism purposes. Nearby are the remains of the ancient harbor. 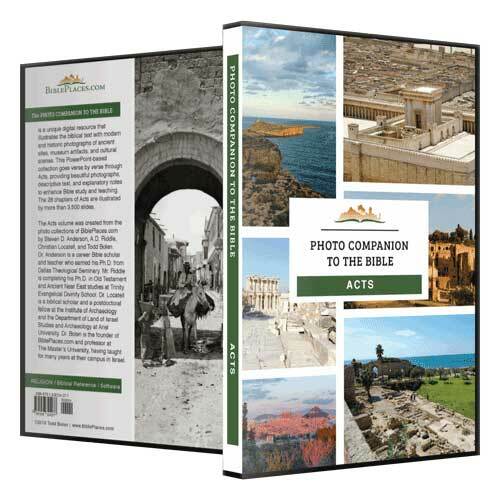 Paul and Barnabas sailed from here directly to Syrian Antioch, where they reported to the church of God’s saving work among the Gentiles.